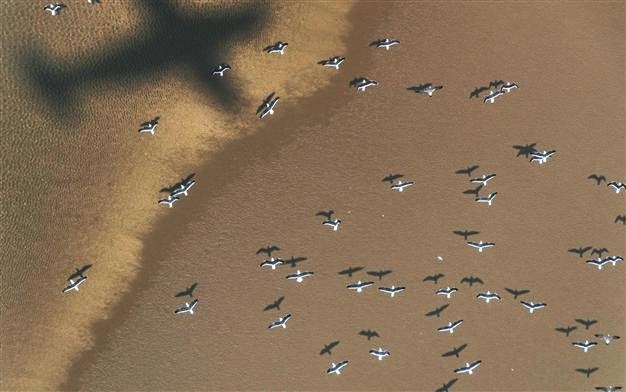 Istanbul’s third airport is located along one of the most important migration routes for birds, experts say, warning that its construction poses dangers not only to the environment, but even flights. Zeynel Arslangündoğdu, an expert of ornithology at Istanbul University, told Radikal that the northern forests in Istanbul’s European side are among the main corridors used by migrating birds crossing the metropolis. The controversial facility, promoted by the government to showcase development, will become not only Istanbul’s largest airport but also one of the world’s major hubs. Its construction in one of the city’s most precious natural areas, however, has drawn criticism from activists denouncing a culture of plunder and destruction. The airport will not only inflict a heavy toll on the living creatures in the affected forests, but may also hold a large impact for birds, Arslangündoğdu said. Some 600,000 birds fly each year in spring and autumn over the area where the airport is being built, including rare species under protection by the Bern Convention on the Conservation of European Wildlife and Natural Habitats, to which Turkey is a party, according to Arslangündoğdu. “Turkey is richer than many European countries in terms of bird species. There are some 470 species across the country. In the area affected by the third airport and the roads connecting to it … we are talking about 200 species. In other words, half of the species in Turkey live there,” he said, adding that migratory birds include rare raptors such as rarely spotted eagles.